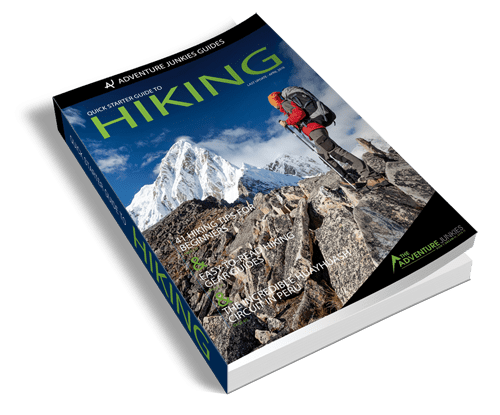 Do you want to know what are the best hikes in South America? You’ve come to the right place. We spent 3 years traveling full-time around the area and had the chance to do many hiking routes all over the continent. So don’t expect this list to be just another “copy and paste” list from the internet. You won’t find any of the famous hiking trails here unless we truly believe they’re unique and worth your time. Most of the time those famous routes are packed with people and the scenery is just OK if you compare them to some of the lesser known trails. So, having that in mind it can be controversial leaving some of the “lonely planet hikes” out but these are in our opinion the best treks in South America. Enjoy! 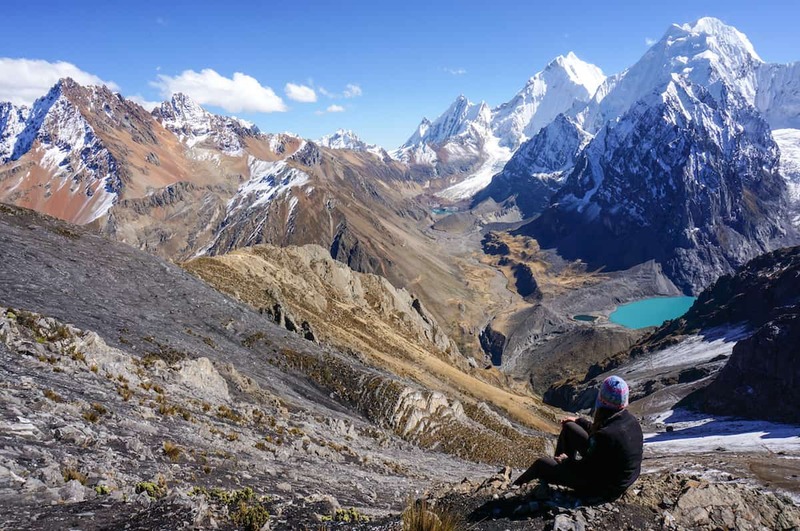 A 8 to 12 days hike, depending of your route choice, the Huayhuash Circuit is probably the best hike in South America. 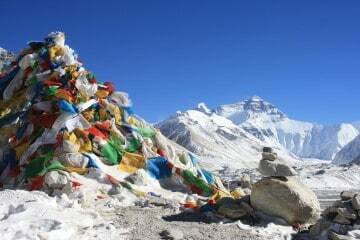 It’s a one tough route with 7 passes over 4,500 meters (2-3 or them over 5k!). 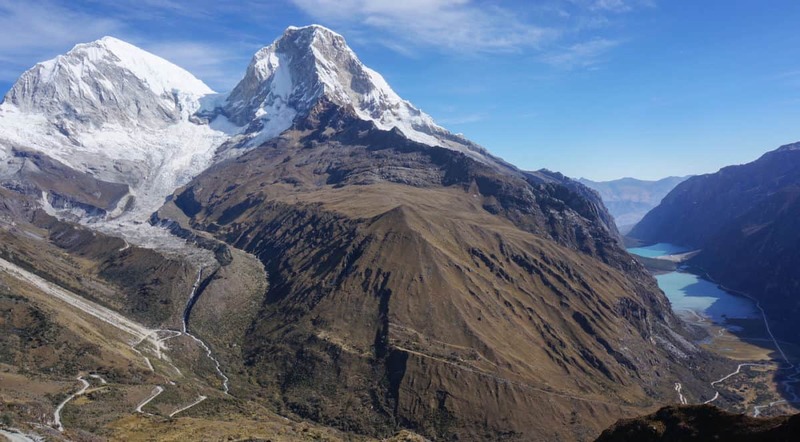 You will be camping by the huge and mighty peaks of Siula Grande, Jirishanca and Yerupaja in a high altitude environment located in the heart of the Peruvian Andes. And, the best thing is you won’t see many other hikers around. 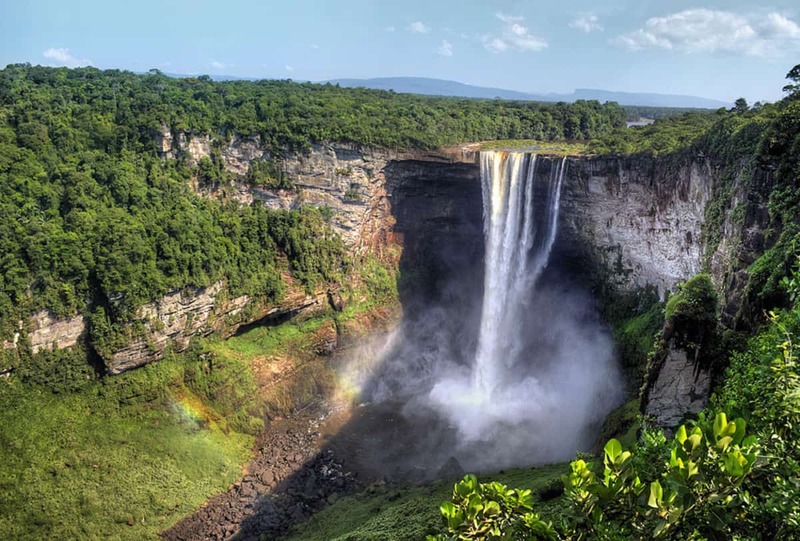 A combination of 4×4, canoe, and trekking adventure will bring you to the Kaieteur Falls, the highest single-drop waterfall in the world. The route is located deep in the Amazon rainforest and encounters with diverse wildlife are not rare. Aside from the impressive beauty of the falls, this hiking route is worth the effort just on its own. During the 34 miles (and 7,200 feet of vertical ascent) that covers the whole Cerro Castillo circuit you will find a bit of everything: a nice and smooth singletrack, thick forest with Patagonian fauna and two mountain passes. A very little known hike in Chile where you can enjoy nature and solitude without the crowds of the other popular hiking trails in Patagonia. The colorful mountain is, without any doubt, one of the most unique places on the planet. 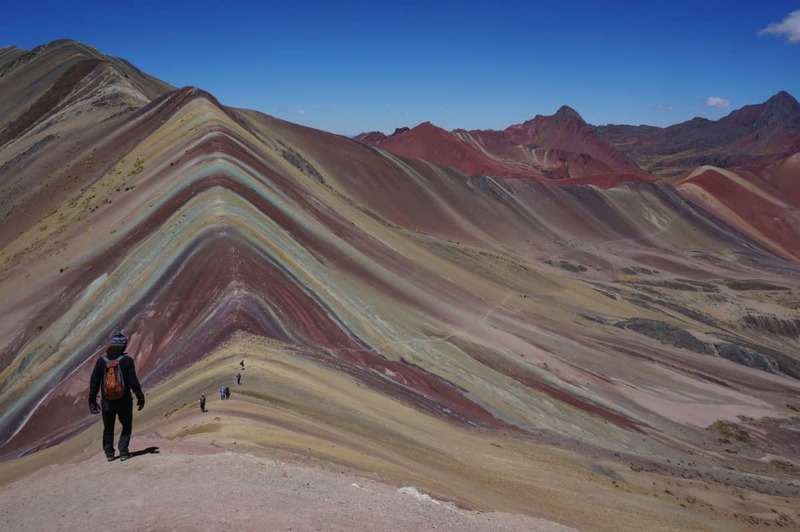 Located in Southern Peru, the Ausangate Trek is a 5-day hiking adventure that takes you around the sacred Apu Ausangate to end up at this colorful mountain. Here red meets green and yellow to create a spectacular photo opportunity. Although it’s very weather dependent, the Altar Trek is a fantastic option to hike off the beaten path in the Ecuadorian Andes. 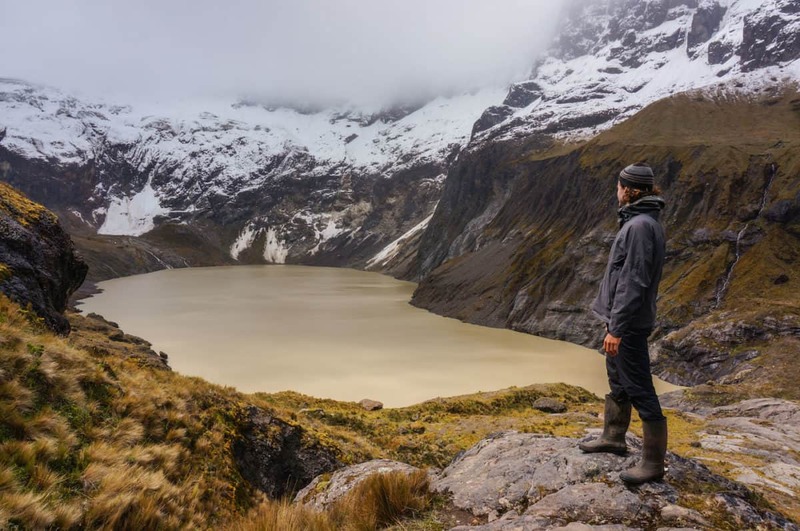 Located in the Sangay National Park, this 3-day hike (longer options are possible) will take you all the way up to the “altar”, where a yellow lagoon is surrounded by snow-capped peaks facing an imposing valley. 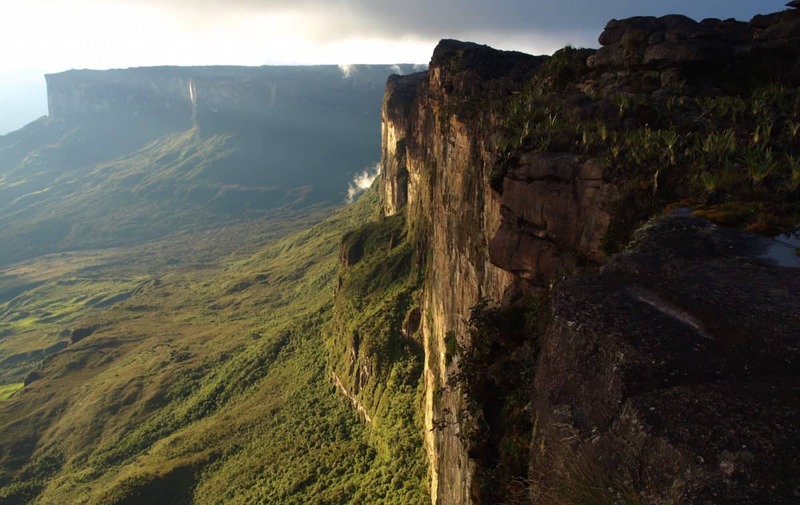 Located in the Pakaraima chain of tepui platues, Mount Roraima is the highest of them all. 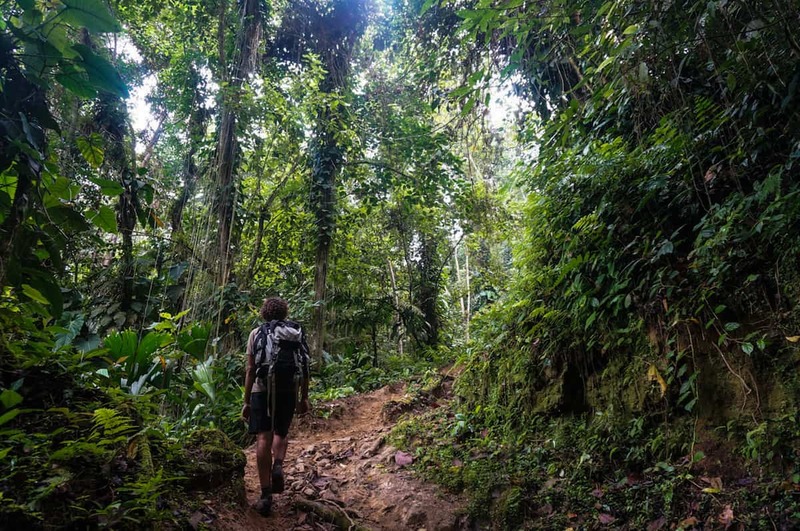 It takes around 6 days to complete this very diverse hike that crosses savannah, thick cloud forest and rivers on its way to the mighty mountain. Bizarre stone formations and unique plants are seen almost every day and shape the landscape of this region. 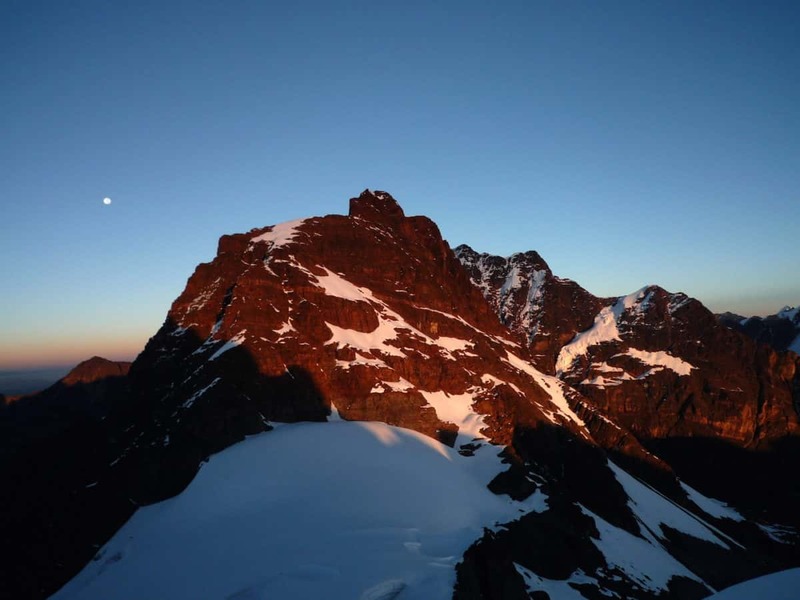 You don’t need to be a mountaineer and climb the highest peak of the continent to enjoy the surroundings of Aconcagua. 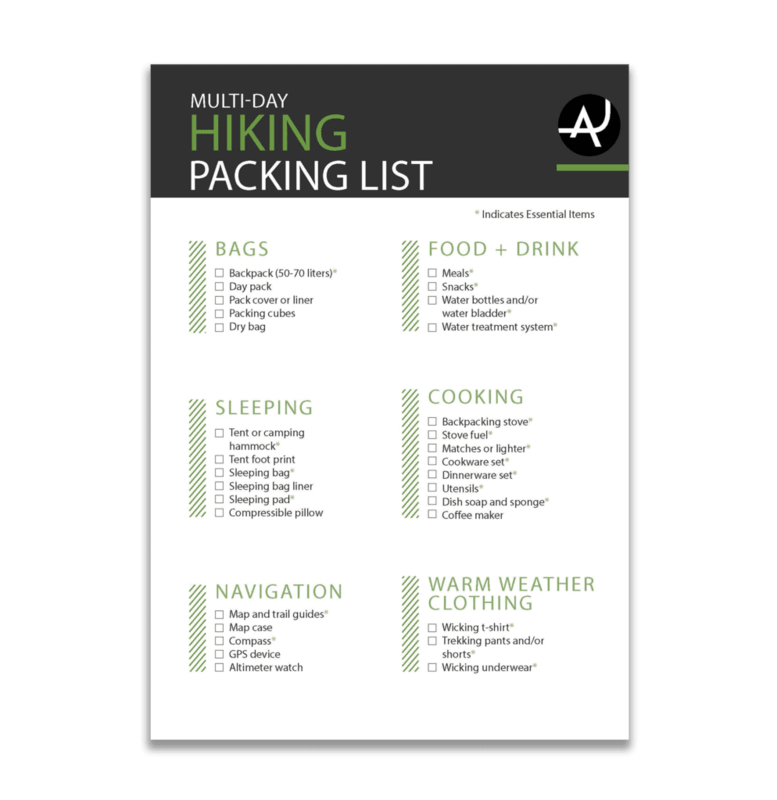 There are different options available for multi-days hiking excursions. The most popular spots are Plaza Francia and Plaza de Mulas, from where you can enjoy different walls of this South American giant. 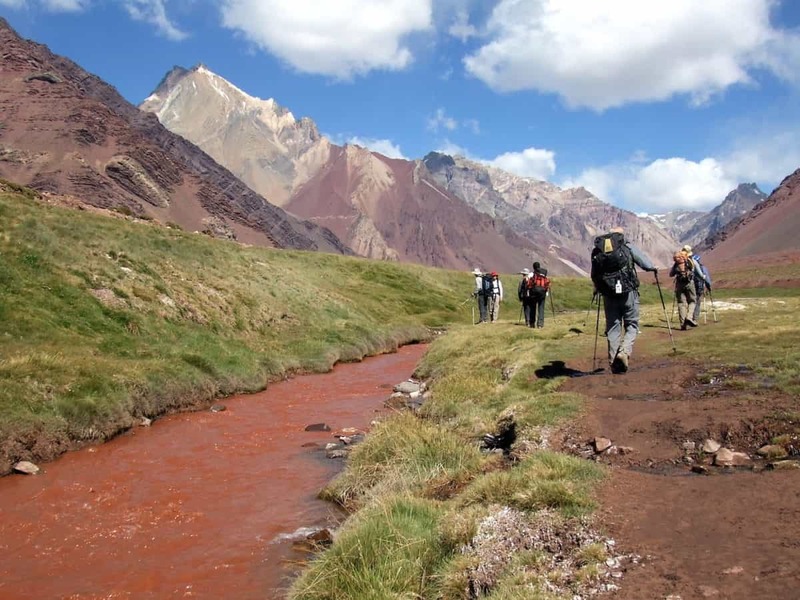 The Condoriri Trek is just one of the many incredible hiking opportunities in the Cordillera Real, in Northern Bolivia. This 3-day hike offers spectacular views overlooking the immense Condoriri Massif, 13 snow packed peaks ranging from 5,100 – 5,648m, many glaciated peaks and distant views of Lake Titicaca. It’s also a great place for spotting condors. Located deep in the jungle in the Sierra Nevada of Santa Marta, the Lost City of the Tayrona had been forgotten for centuries. 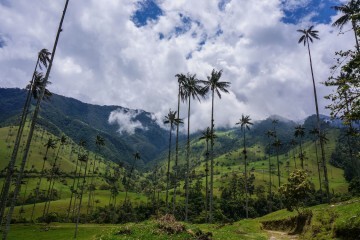 It wasn’t until 1972 that it was rediscovered by a group of guaqueros (tomb robbers) and, after decades of guerrilla and paramilitary groups activity in the area, the Ciudad Perdida trek is finally safe for travelers. The hike to the Ciudad Perdida takes 4-6 days to complete and it’s not possible to do it independently. The Mount Fitz Roy is one of the most technically challenging summits for mountaineers on Earth. That difficulty can be paired to its beauty of almost vertical walls that makes it one of the iconic peaks in Patagonia. 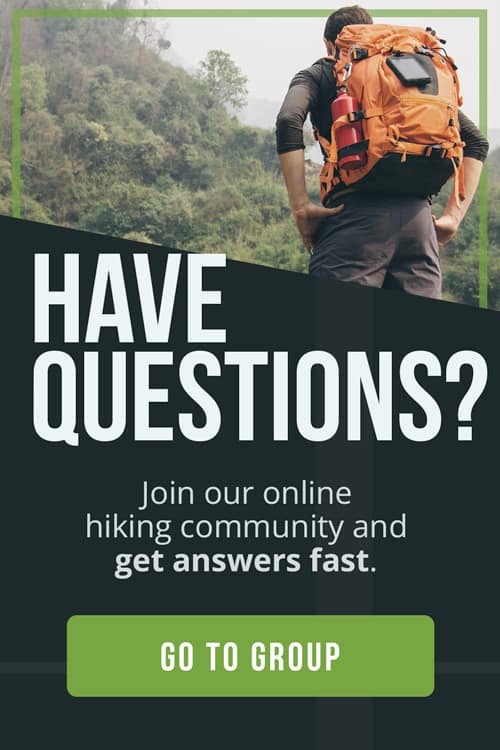 If you aren’t into conquering mountains, there are plenty of hiking opportunities here. 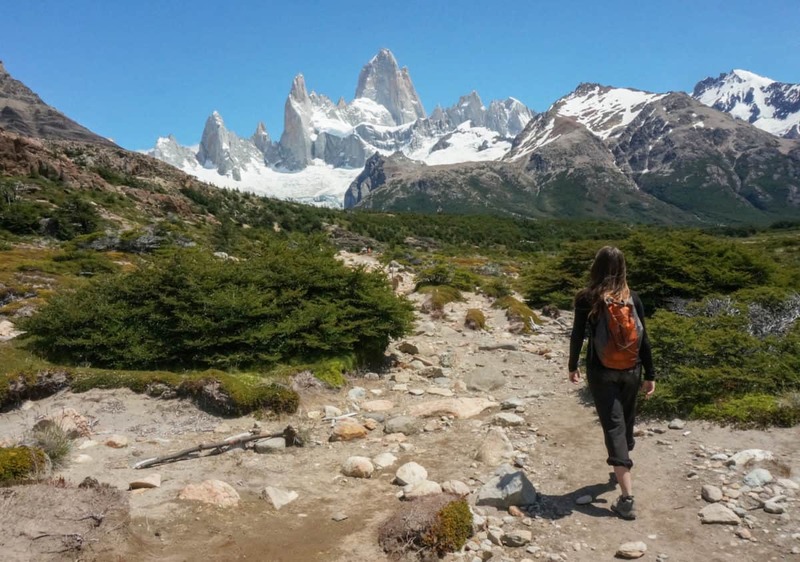 It’s possible to easily explore the area by doing day-hikes from El Chaltén or by different combinations of overnight routes ranging from 2 to 5 days. 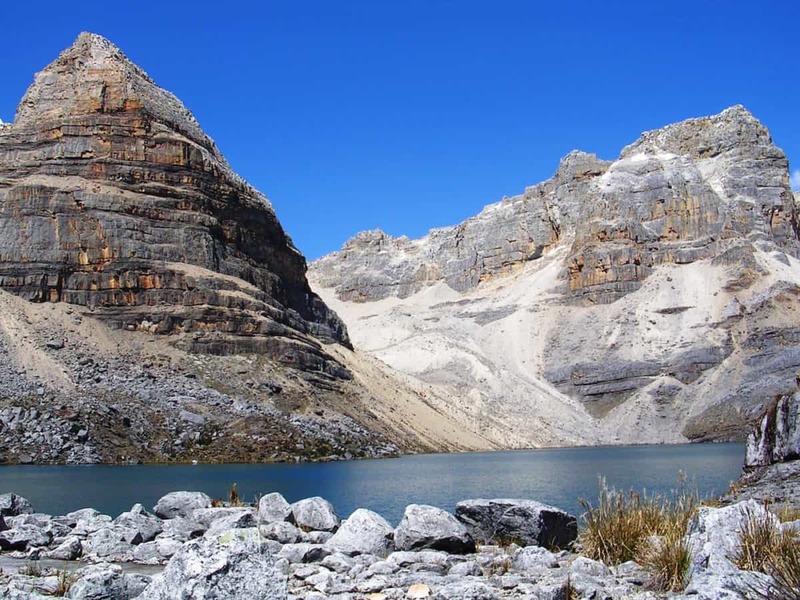 The Sierra Nevada del Cocuy is a little known mountain range of high snow capped peaks located in Northern Colombia. 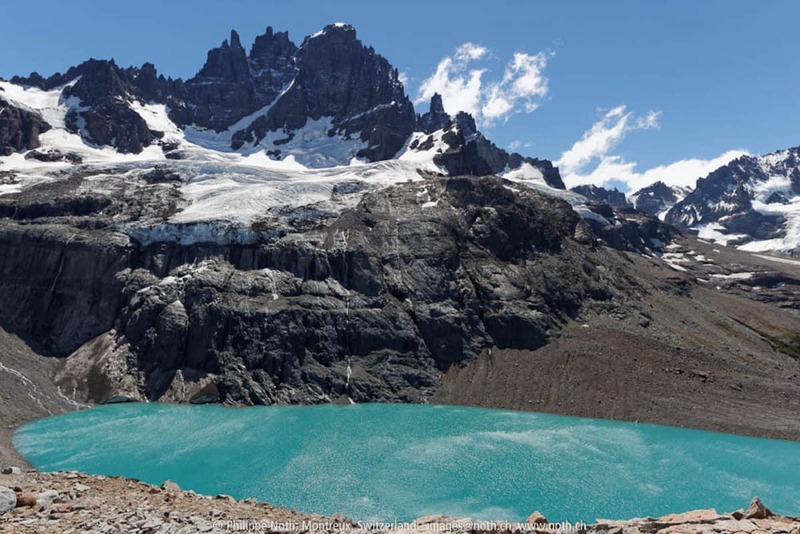 National Geographic calls El Cocuy “a heaven for mountaineers and rock climbers, with glaciated peaks over 17,000 feet and tons of rarely explored alpine terrain”. It’s a true hiker’s dream. Here it is possible to spot animals such as the spectacled bear, tapirs, eagles, Andean condors and deers. 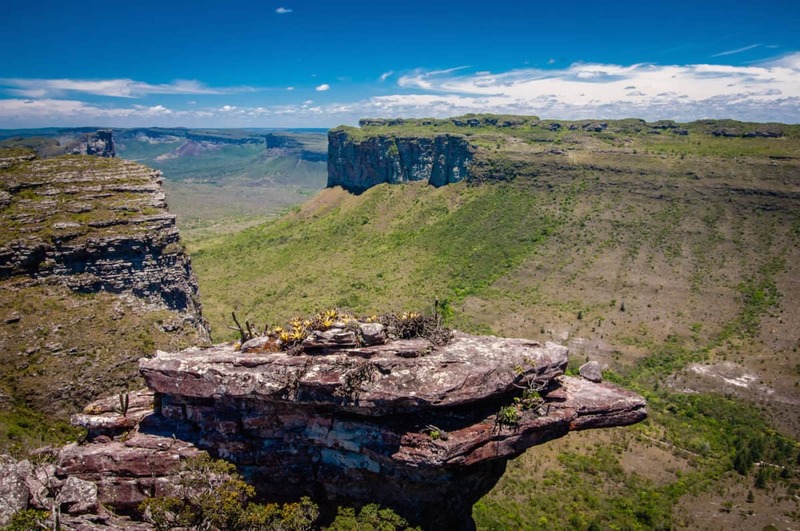 The 5-days Chapada Diamantina Circuit will take you to a Hidden World in the remote Chapada Diamantina National Park of Brazil. You will hike past towering waterfalls (including Cachoeira da Fumaça, the highest in Brazil), underground rivers and camp by crystal clear water pools in hidden caves. 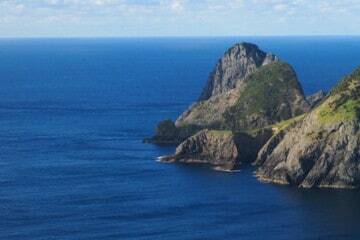 You’ll walk up and over dramatic table-top mountain plateaus and down to lush plains. A real adventure junkies’ paradise!